Lithops karasmontana spp. bella on a hill outside of Aus, Namibia. Lithops are small, interesting plants from southern Africa that are relatively easy to grow indoors. The first Lithops was discovered by William John Burchell in 1811 during a botanical expedition in southern Africa. During his travels in the Northern Cape Province, he found a strange looking brown stone with a fissure across the surface near the town of Prieska. On closer inspection, this strange-looking stone turned out to be a succulent plant. These plants, in the plant family Mesembryanthemaceae (Aizoaceae), were named for their stone-like appearance: lithos (=stone) and opsis (=like). Local Afrikaans names for these plants in areas where lithops are known include beeskloutjie (cattle hoof), skaappootjie (sheep hoof) or perdeklou (horse’s hoof), for their resemblance to miniature hoofprints. 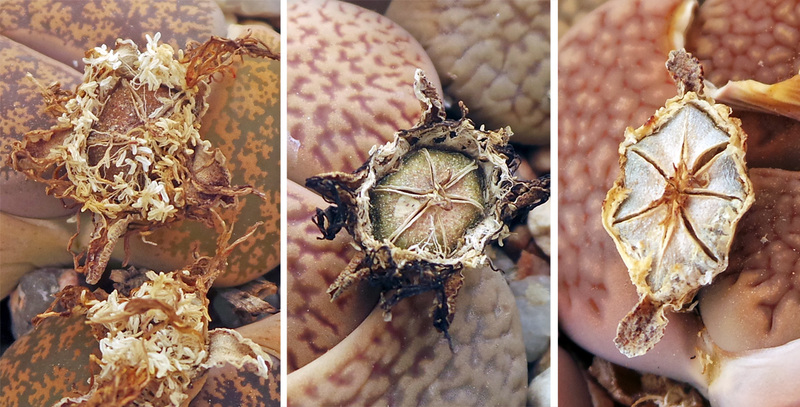 In their native habitats in Namibia and South Africa, Lithops have evolved to blend in so well with their surroundings – looking just like the sand and stones they live among in shape, size and color – that they can be quite difficult to spot, even for those with a trained eye and years of experience. Typical Lithops habitat, southern Namibia. Lithops (the word is both singular and plural, and both the scientific name and a common name) are found in arid regions in widely separated, sparsely populated colonies. The average rainfall in areas where Lithops occur is generally less than 20″, with most of the rain coming in spring and fall. Some species occur in areas with an annual rainfall of 4″ or less, and a few rely on mist or fog as their main source of moisture. They are found growing in many diverse habitats, on quartz grit or gravely flats, stony ridges and hills of sand, decomposed granite, quartzite, shale, schist and limestone. 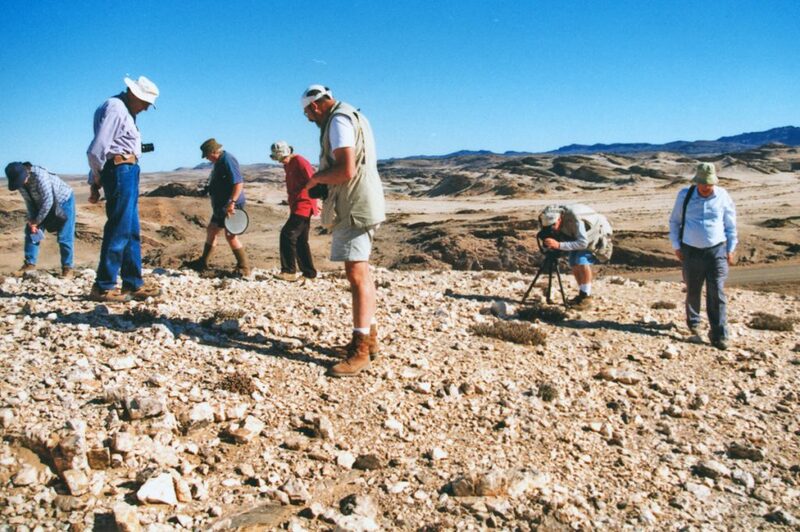 The vast majority of Lithops species occur in the Nama Karoo and succulent Karoo and are especially common along the Orange River valley in the Northern Cape that runs between Namibia and western South Africa. Lithops are masters of camoflouge: L. herrei on a white quartz outcropping near the NAMDEB operation at Auchos, Namibia. 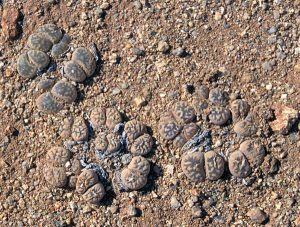 Lithops are able to survive in these dry areas because of their capacity to store water, with almost the entire plant devoted to this function. Each individual plant consists of two succulent leaves fused together in the shape of an inverted cone (although some species will produce multi-headed plants). The fissure at the top of the plant is the division between the two leaves. There is no stem; the taproot joins abruptly at the base of the leaves. The thick leaves can store enough water for the plants to survive for months without rain. In periods of drought (almost all the time) they shrivel and shrink below the soil level. These small, nearly stemless succulents are partially subterranean. In habitat the plants only grow from ½-1″ high and from 1-3″ wide, and they grow flush with the ground. Staying small and keeping a low profile helps minimize the effect of the intense heat and sunlight where they live. But this also presents a problem of getting light to the photosynthetic apparatus of the leaf cells (cholorophyll) that are underground. To solve this dilemma, the wide leaf tips have windowed cells that allows light into the inner portion of the leaf, where it is diffused before reaching the chlorophyll, which is scattered along the interior leaf margins. 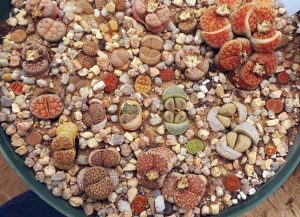 There are at least 37 species (new species continue to be discovered) and numerous varieties (145+) of Lithops; all look quite similar to each other, differing mainly in the shape, markings, color and texture of the body. They come in a variety of subtle colors of gray, brown, rust, green and pink. There is considerable variation in the patterns of dots, lines or patches on the upper surface that help them to mimic their surroundings. There may also be dimples or indentations where the markings appear. The markings may heavily cover the leaf surface, or the windows may cover most of the leaf surfaces. A variety of Lithops species and cultivars (L-R): L. dorotheae, L. aucampiae ‘Jackson’s Jade’, L. optica ‘Rubra’, L. verruculosa, L. karasmontana ‘Mickbergensis’, L. otzeniana ‘Aquamarine’, and L. fulviceps var lactinea. Most Lithops flower during autumn and early winter, producing daisy-like yellow, pale orange or white flowers with many petals. The flowers open in the afternoon of sunny days and close again in late afternoon. The flowers emerge from the fissure between the leaves. Some flowers are scented. They range in size from roughly ½ to 1½”, depending on the species and conditions. LIthops flower buds emerge from between the leaves (L and LC) and start to open (RC) the daisy-like flowers (R). Lithops are self-sterile, so must be pollinated to produce seed. The seed is held inside a hydrochastic 4-8 chambered fruiting capsule, which only opens when moistened, exposing the tiny seeds. In nature, falling rain drops splash out the seeds to a distance of an inch to up to a few feet from the parent plant. Once the capsule dries, it closes again, protecting any seeds remaining until the next rain. After the flowers fade (L), a chambered fruit capsule remains (C) which opens when moistened (R). After the plant flowers, it goes into a period of dormancy during which at least one new body develops. In the spring the plants start to reabsorb the old leaves as the new ones develop. Eventually the new body pushes out from the fissure between the old leaves. The fissure of the new leaves forms at about 90 degrees to the old fissure. Eventually, the old leaves wither away to a dry, papery sheath on the side of the new body. Many plants will also divide at this time, to produce more than one leaf pair so that a single body gradually becomes a small cluster. After flowering, a new pair of leaves develop (L), pushing up between the old leaves (second from left and LC), as the old leaves start to wither (RC). A plant may also divide at this time, producing two pairs of leaves (second from R and R), leaving a papery sheath around the new leaves (R). Lithops are popular novelty houseplants. Because they thrive in low humidity, need infrequent watering and care, and are relatively easy to grow, Lithops are popular novelty houseplants. With their small size and slow, compact growth these plants do not take up much room. Lithops are long lived – up to 40 or 50 years. It is quite possible to keep a plant in the same pot for 10 or 20 years. Lithops are non-toxic to humans or pets. (There are even some references to African children eating these plants as a means to quench their thirst.) Their health in cultivation depends on sufficient bright light, good soil drainage and proper watering. Lithops can remain in a small pot for many years. 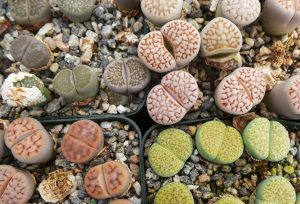 Lithops can be grown successfully on a sunny windowsill (although a greenhouse is preferred) where they receive about 4 or 5 hours of direct sunlight during the early part of the day, and partial shade during the afternoon. Usually a southern window is the best location; an unobstructed eastern exposure is a good alternative. If a plant does not receive enough sunlight it will begin to grow slender and elongated, lean to one side to receive more light, lose coloration and turn greenish, and will eventually die if better conditions are not provided. 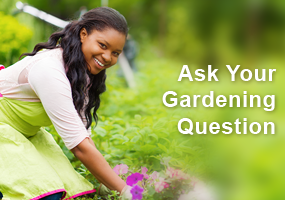 But be cautious about moving a plant abruptly to brighter light – it could get sunburned and be fatally injured. Lithops need a well-drained planting medium and look nice topdressed with gravel or stones. Lithops require well-drained soil, much the same as cactus. Add sharp sand, perlite, decomposed granite or other gritty material that will help improve drainage to regular houseplant potting mix, or use special cactus potting mix. These plants have an extensive root system, which means they need a larger pot than the plant size would indicate. Pots that are about 3 to 5 inches deep – with drain holes – are recommended to allow the roots adequate room to grow. Place the top of the plant just slightly above the surface of the soil, rather than at the soil surface as would occur in nature. Many growers topdress with gravel or surround the plant with stones to give a more natural appearance. Water from late spring into summer. When the plant goes dormant in the summer, stop watering. If the plant really shrivels, give just enough water to restore the firm appearance of the plant, but only water until about the top one-half inch of the soil is moistened. 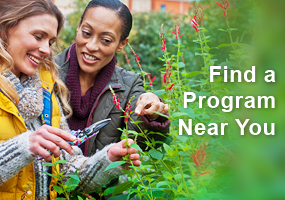 Resume watering in late summer-early fall, when the plants resume growth and bloom. The first sign of growth is when the fissure between the leaves begins to separate in preparation for flowering. Lithops should be left totally dry throughout winter and spring. Stop watering to allow the old leaf pair to dry out and the new pair develop. By early spring the new body should be visible. Watering can be resumed once the remains of the old body are completely shriveled and dry. If water is given too soon, the old “leaves” will try to continue to grow and the plant will not develop properly. Remember, the old leaves should totally dry up as the new leaves are growing. Lithops can be grown from seed. Fertilize Lithops sparingly and use a low nitrogen, high potassium type. Lithops can tolerate very high temperatures as long as there is plenty of fresh air. Never allow the plants to freeze. 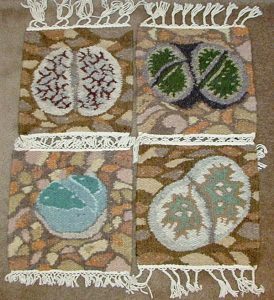 Weavings with lithops designs, by Karakulia Weavery, Swakopmund, Namibia. Seed and plants of all species and many cultivars are today available from specialist succulent nurseries. They grow quickly from seed, and can be expected to flower in 3 to 4 years under optimal conditions. Sow the seeds during the summer in sandy medium, covering with a very thin layer of fine sand. Water the tiny seeds gently so you don’t displace them. Place the container in a warm sunny spot, keeping them moist but not soggy. The first seeds should germinate in a few weeks (but germination may be spread out over a long period of time, with stragglers taking as long as a year). Once the seedlings are developing rapidly, reduce watering so that the top ¼” of medium dries out, but the lower medium stays moist. Don’t water too much, as excessive watering during this period may cause damping off of the seedlings. When the plants are 2-3 months old, start letting them dry out completely for a few days between waterings, and gradually increase the length of the drying time. The young plants can be transplanted when they are about a year old. 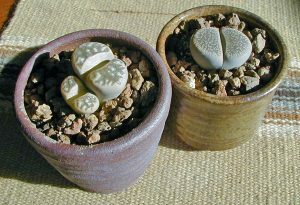 Lithops can also be propagated by dividing a multi-headed plant. Lift the plant, carefully cut through the roots and replant them immediately. Growing the Mesembs by E. Storms. 1976. Fort Worth, Texas. Very interesting, I want to buy some, I want to know if this plant can survive during shipment like two weeks or maybe more? Now here is a plant I have never tried to grow. It would be nice to have flowers like those growing indoors. Maybe I will give them a try! 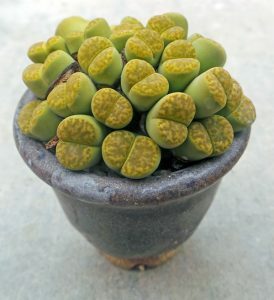 Lithops looks to be a very interesting succulent that I might be able to grow as I sometimes forget to water houseplants. Hope I can find a couple to try. I find these plants fascinating. They are so unique and highly adapted to the conditions they live in. I enjoy succulents and grow several in my home. I would never have guessed these to be plants by looking at the first picture. Amazing how these plants adapt in the wild to their conditions. Did not know they originated in Africa. Wish I knew where to find a plant like this, as I would like to try growing them. Thank you for the fascinating article. Jimz on Amazon has provid3d nice specimens of Lithops for me. Ships tiny pots with three heads. Get more than one and save on shipping. I think their windowed cells for light collecting are pretty neat. Amazing how these plants adapted to their environment. This was a very interesting article. I have never heard of lithops and I am intrigued. It would be the perfect container plant because they have such a long life span – 40 to 50 years! And 10 to 20 years in the same pot! you wouldn’t have to transplant because they out grew their environment. I was a bit saddened to know it isn’t like a prickly pear or chicks and hens succulants that can survive nicely out in our Wisconsin winters. I love interesting plants. I may have to try to find a nursery to bring a few home (since they are slow growing). I was glad to hear that they aren’t harmful to children or pets. Always a good thing. Love the diversity of color as well. Beautiful flowers from such an unimposing succulent . I just can’t believe these plants. I would love to see one in the wild. Can’t believe that they can grow with so little water. 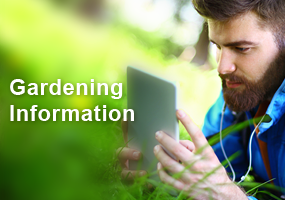 The information on how to grow these was most informative. Interesting plant structure, namely the adaption of low-moisture conditions. I learned that these succulents are from Africa. They like heat and low humidity. Thank you for the interesting and thorough article. The pictures were especially striking. I think I could spot this kind of plant if I were in the South African desert. It’s funny that their flowers are so much like asters. It’s impressive that someone discovered them back in 1811. I imagine that members of the British Cactus and Succulent Society find this kind of plant quite thrilling. I wonder if they would grow in the wild in Texas if they were introduced to a warm environment. These are really interesting. I didn’t know they flowered.